We are pleased to announce that we have set up our English website, marking 27th anniversary of its founding. The purpose of opening English website is to construct sales network to accelerate our sales activities in overseas market, and to recruit sales agents. We are an electronic equipment manufacturer dealing with a wide range of products such as PC peripherals, smartphone peripherals, audio & visual products, kitchen appliances, OEM products and even IOT solutions. 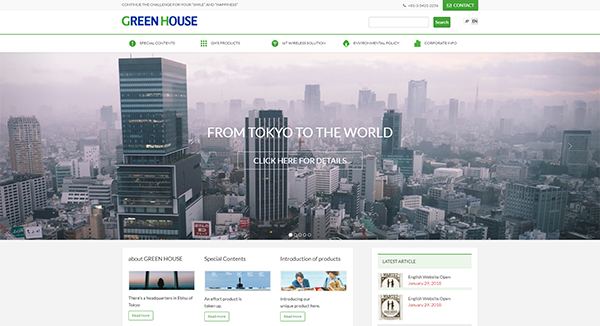 Although the number of products listed here are limited, we introduce all of our products in Japanese site. If you are interested in them, have a look at the Japanese one. We are going to add more product pages later on. If you have any questions, please contact us through the form below.